Sign up for free and just shop with Mobiles.co.uk as normal. Our members earned £30,000+ at Mobiles.co.uk in the past month. Mobiles.co.uk cashback can be earned simply by clicking through to the merchant and shopping as normal. Mobiles.co.uk Cashback is available through TopCashback on genuine, tracked transactions completed immediately and wholly online. Transactions will initially track at a lower value and then uplift at a later date. In the unlikely event that your transaction does not track, you must submit your claim within 3 months of the transaction date, otherwise we are unable to process your claim. Get a great deal on the latest mobile phones and have even more money in your pocket thanks to our Mobiles.co.uk discount code and cashback deals. Whether you are looking for a contract for 24 months, an upgrade or a pay as you go offer, you will discover some of the best mobile phone deals in the market. They use their vast smartphone experience to ensure they offer customers the latest handsets, while as well as their fantastic prices, they offer their own cashback deals and free gifts with certain contracts. You will benefit from free delivery, no matter what you order or how much you spend, while you can earn up to £50 when you refer a friend. Whether you are looking for a 128GB or 256GB Apple iPhone 8, Samsung Galaxy S8 Edge, LG X Screen or another of the latest handsets - many of which are available with no upfront cost - you can browse by brand of network, such as EE, O2, Vodafone and iD Mobile. They also offer SIM only deals, which you can make savings on with our Mobiles.co.uk voucher code offers. Search for Android phones or the latest Windows phones, which will equip you with Microsoft Office, as well as brands like HTC and BlackBerry, no matter if you will be using your phone primarily for calls, Internet browsing or sending texts. You can narrow down your search by selecting your ideal handset cost or cost per month, as well as by choosing how much data or how many minutes you want, including unlimited options. You will also find Mobiles.co.uk special offers, while you can also purchase top wearable technology products. Whatever you buy, you will benefit from free delivery. All of their handsets are delivered by DPD, who will provide you with a one-hour time slot so that you do not have to wait in all day for your new phone to arrive. When you complete your order, you will be sent a confirmation that your items are out for delivery, while DPD will then send you an email or text confirming your delivery date, which you will have the option to change if it is not convenient. On the day of delivery, you will be sent another email or text confirming the hour in which it will be delivered and containing details of who will be delivering it. Where possible, they aim to deliver your parcel the next day, though delivery times are based on when you order. For new contracts, new pay as you go phones or upgrades, order before 6pm Monday-Thursday and you will receive it the next day, while orders placed between 6pm on Thursday and 5pm on Monday will arrive the following Tuesday. If you order a new SIM only contract, it will be sent first class by Royal Mail and will be with you in 3-5 working days. You can track your order by visiting the DPD website and entering your parcel number, or you can log in to your Mobiles.co.uk account. 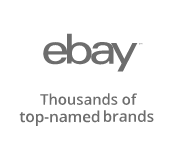 As well as being able to earn cashback when you join TopCashback using the form you will find further down this page, you might also get more for your money with your phone deal as Mobiles.co.uk offer free gifts with many of their contracts. They have picked out the best technology to partner with your new handset, allowing you to choose a full HD TV, a PS4 games console or a Fitbit, while you can also opt for high street vouchers. Whether you are looking for a mobile phone contract with a free laptop or tablet, they have a great range of gifts for you to choose from. Just select what you want and they will send it when you pay for your phone. You will receive it at the same time as your phone, with many of them being delivered within two working days. As well as being able to save money when you buy online using one of our Mobiles.co.uk promo code deals, if you refer a friend, you could earn yourself up to £50 to go on a shopping spree with. Just recommend a family member, colleague or neighbour and every time one of them becomes a new Mobiles.co.uk pay monthly or upgrade customer, they will give you up to £50. As soon as you become a Mobiles.co.uk customer, you will automatically be eligible to take advantage of their refer a friend offer. What's more, there is no limit when it comes to the number of people you can refer or the amount of money you can earn. As long as they are not already a customer, you can recommend as many people as you like and potentially earn thousands of pounds. All you need to do is make a note of your order number, which you will find on your order confirmation email, and add it to the end of the web address you will find on the Refer a Friend page of the Mobiles.co.uk website. You can then email this link to your friends and family, or add it to your own website, blog or social media account. Mobiles.co.uk will know when someone upgrades or signs up for a new monthly contract using your link and will send you a cheque in the post. For the smart choice when looking for the latest mobile phones, browse these great cashback deals. 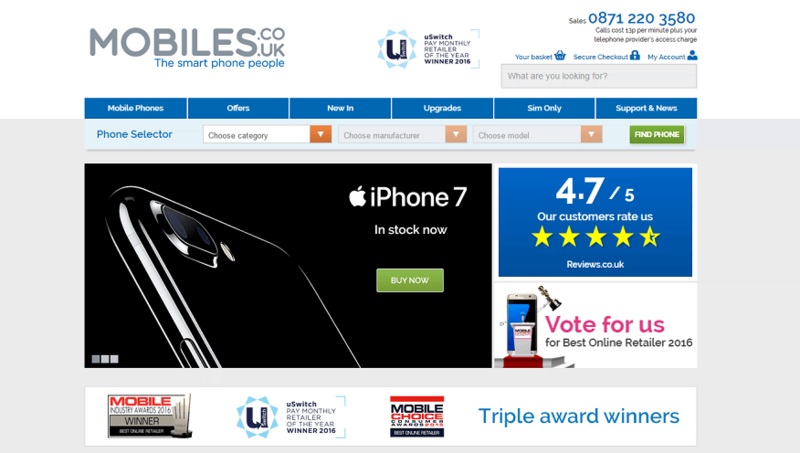 Mobiles.co.uk offer some of the very best mobile phone deals in the market, whether you are looking for a contract, upgrade or pay as you go offer for your next phone. 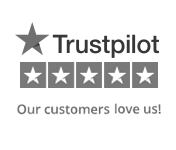 They use their smartphone expertise to ensure they always have the best new handsets and accessories on the market. There are regular offers available on phones, like their own cashback deals and free gifts. Whether you are looking for an iPhone or Samsung, browse by brand or network - including EE, O2, Orange, Talkmobile, T-Mobile and Vodafone. View Sim only deals and plans and earn rewards.